Driving under the influence of alcohol and/ or drugs is not only dangerous, it could lead to legal consequences if you get caught whether or not you caused an accident. Those who have a blood alcohol concentration of 0.08% or higher are legally too drunk to drive and can face penalties upon a conviction. If you have been arrested for DUI in Apopka, you should have an attorney on your side to protect your rights. Drunk driving leads to tens of thousands of accidents annually. Nationally, about a third of all traffic deaths are caused by drunk driving. The state of Florida encourages law enforcement officers to pursue DUI suspects to reduce the number of intoxicated drivers on the roads. If you face charges for a DUI, you need someone looking out for your interests. The Apopka DUI attorneys at The Umansky Law Firm have over 60 years of combined criminal law experience and have handled thousands of DUIs. They will put this experience to work when developing a strong defense for your case. How Can Police Prove I’m Intoxicated Behind the Wheel? The Apopka Police Department relies on portable and stationary technology to measure a suspect’s level of intoxication. At the traffic stop, the law enforcement officer may rely on a series of roadside evaluations to help him decide whether your behaviors are suspicious enough to justify using a portable breath test. If you fail these sobriety tests, you will be subjected to a portable BAC test. The results of the portable breath test are not permissible in court as evidence; however, if you fail you will be taken to the police station to undergo a more thorough evaluation on a stationary machine called the Intoxilyzer 8000. If the results of this test indicate intoxication, they may be used as evidence for an Apopka DUI. The state of Florida takes drunk driving charges very seriously. Prosecutors can seek the maximum penalties for a first-time DUI to keep suspects off the roads. Many DUIs result in misdemeanor charges unless the violation resulted in serious bodily injury to another person. If your DUI caused a death, you might be facing a DUI manslaughter charge.The penalties for any of these charges are harsh and can potentially rob you of your future as you may be required to spend time in jail, pay steep fines, perform community service, attend DUI school, and more in addition to losing your driver’s license. A well-rounded DUI lawyer in Apopka is equipped to handle the administrative and legal obstacles a DUI can bring. There are many defenses our DUI lawyers can employ to counter the charges against you. In many cases, it is possible to challenge the results of the breath tests as well as the justification for the traffic stop. You will need to thoroughly describe the events that lead to your charges to an attorney in order to learn all your options for defense. At The Umansky Law Firm, we understand that people make mistakes and firmly believe that everyone deserves a second chance. 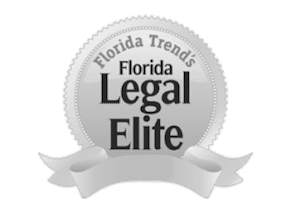 Founder William Umansky has defended thousands of DUI cases throughout his 25-year career as a DUI attorney serving Apopka and Central Florida. As a former prosecutor for the City of Orlando, he has unique insight into how the prosecution may handle your case that will work toward creating a stronger defense. Call 407-228-3838 or contact us online to speak with an attorney for free about your DUI.